Ratti is looking for Hot New Artists for the Midwest Funk Volume 4 Album Project. - To Sign Up Click HERE! With the housing market collapse, rising energy cost and the corporate credit crunch, the music industry's sales and profit's have been steadily declining. In the past 5 years a lot of record labels, distribution companies and record stores have went out of business. No longer do you hear about artist signing huge advances for a 2 or 3 album deals. Now record companies want the artist to already have a buzz and some sales on there product. The most important factor an artist must do to even have a chance, is market and promote their careers. This includes raising there own capital, flyer's and internet promotions, shows and selling their CD's through stores, ring tones, digital down loads and street sales. With the huge success of Ratti Entertainment, Inc's three compilation album's (Midwest Funk Soundtrack, Volume 2 and Volume 3) which generated Billboard charts, overseas deals and move soundtrack deals. The main reason for this success was that everybody on the albums pooled all their resources together and heavily pushed the projects like a football team. Because individually none of the artist had the capital needed, music connection's, business knowledge or man power to put out their own album. Ratti Entertainment, Inc. is once again searching for hot new artist that will work together as a team to be part of the new Midwest Funk Volume 4 double CD compilation album a long side big name artist. Some artist will also have the opportunity to be featured on the Black Salt movie soundtrack and video game.For more information fill out the form and submit. Note: If we are interested, Ratti will email you further criteria. 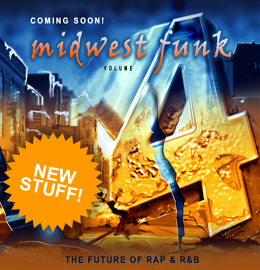 The first R&B artist selected for the Midwest Funk Volume 4 album project. Booker moved to Los Angles, California at a young age were he studied Violin, Cello, Bass, Guitar, Piano and Percussion. At the age of sixteen, Booker was personally selected by Jimmy Iovine- the current CEO of Interscope Records to play guitar for Interscope projects. 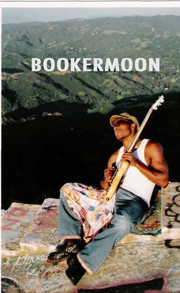 Booker Moon continues to captivate audiences with a voice that blends sensuality, spirituality, sophistication and soul.